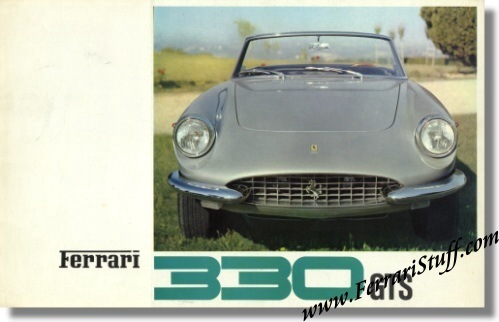 Ferrari factory original vintage 1966 Ferrari 330GTS Sales Brochure. It measures approximately 12.25 x 8.75 inches and folds out to approximately 33 x 8.75 inches. Languages: Italian + English + French. Ferrari Print Number 14/66, issued in 1966.